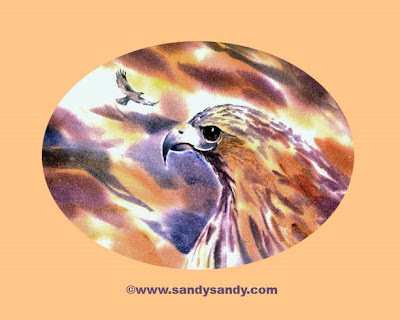 *SANDY SANDY ART*: What's Your Animal Totem? Ever since I can remember, I have been an animal lover and augurist. An augur is one who interprets signs or omens to predict or translate situations or events. Just as many ancient cultures believed, I've always felt that divine forces speak to us through nature. I can not distinguish an origin for this belief, as it is something that has been with me as long as I can remember. In the Chinese horoscopes, the 1968 sign is a monkey and the 1973 sign is an ox. You can find out more about this by googling "Chinese horoscopes".